In the following guide, we aim to answer that question by offering an in-depth review of the best camping grills currently on the market and a detailed analysis of what goes into the making of the ideal grill for every type of adventure. Let’s start off with our top picks of the best outdoor grills per category for 2019. How To Choose A Camping Grill? Clearly the Coleman road trip isn’t going to be as inclusive to cook on as a full size BBQ grill, but for its size and weight it’s pretty darn close. Finally you can stop manhandling those weighty, bulky backyard beasts to the campsite and yet still show off as the grill dominator with the Coleman Road Trip Propane Grill. We like how it quickly folds up, easily rolls with only one hand, and sets up in a matter of seconds with the handy lift and lock system. It’s simple to load up, tote around and set up when you arrive at the campsite. It is a breeze to get started, when you’re ready to grill, just push a button to ignite the InstaStart matchless lighting system. Voila you’re cooking! This Coleman grill comes equipped with durable cast-iron grilling surfaces that work quite well and clean up effortlessly. It’s perfect for large BBQs, picnics, tailgating or weekend camping. When you’re ready to leave, it folds down small enough to fit in the back of most car trunks, which is handy. This tabletop grill is quite the powerhouse little cook station. It does require some seasoning before the first use. However, that is an easy process and you can season it with a variety of flavored oils. We enjoyed the fact that we could cook flapjacks, bacon and eggs on it for breakfast, then burgers for lunch and chicken and veggies for dinner. All of the food came out perfectly cooked. Clean up for this grill is super easy. After each meal, once the grill has cooled, just take a paper towel, and give it a good wipe down, and check the grease tray. Now, you are ready to cook up some more grub. We’re also big fans of the fact that it can be used inside a camper or outside on a picnic table, which is convenient with changing weather conditions. 1 zone heating control with an easy to use electric ignition. Compatible with a bulk tank adapter. The Lodge Sportsman is a rugged, well-constructed charcoal grill. This grill is perfect for low maintenance, small batch, hibachi style camp cooking. The heat is easily regulated via a draft door, and flip down door allows access to your charcoal or firewood. The grill has two adjustable heights, which is nice to avoid charring food, unless that’s what you’re going for. It has classic Lodge cast iron construction that is pre-seasoned with 100% natural products. You can use it right out of the box and the more you use your iron, the better it will be seasoned. Lodge is a family owned company that has been around since 1896. It is hard to argue with a manufacturer that has been perfecting the process of making cast-iron for more than 100 years. The best feature is the full line of American-made cast iron cookware from pots and pans to skillets and even a wok, that you can purchase to go with the Sportman grill. You can burn charcoal or firewood, which is nice for a variety of flavors. Weber’s Smokey Joe grill is the timeless, take it anywhere, classic camping grill at the right price. Simply designed and easy to fire up, makes this little fella perfect for a weekend of good eating while camping. The Smokey Joe 14-inch is compact and lightweight with a porcelain-enameled lid and bowl to retain heat, and it won’t rust or peel. Dampers allow cooks to easily control the temperature, and a durable plated steel cooking grate retains all of the heat for grilling. Plus it is a synch to clean. The Smokey Joe comes in two sizes so if you need slightly more cooking surface, then check out their Weber Jumbo Joe 18” with the same great construction, and reliability with a bit of extra cooking surface. Everybody who knows grills is familiar with the Weber brand and its classic charcoal kettle design. 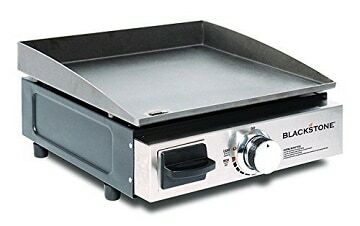 Combine that with the company’s reputation and the fact they offer a warranty and you will agree that this is a solid charcoal grill for the money. We experienced no issues while grilling everything from pork chops to bratwurst to a variety of fowl. Commended by both amateur grillers as well as experts, this classic Weber grill out performs cheaper charcoal grills and competitively competes with more expensive models. Weber Compact Rapidfire Chimney Starter 9 (sold separately). Weber Smokey Joe Bag (sold separately). Some customers complain about the paint smell the first use. You have to burn the grill before using it. This can be done by placing the grill upside down over the fire for a time until the grill is seasoned. A camp fire is required. Not a good choice if a fire ban is in effect. The Texsport Heavy-Duty Camp Grill is a great little grill. Compact and sturdy, it is great for all kinds of campers, from first timers to seasoned vets. It’s nothing fancy, but this grill is compact, easily transported, and is built for rugged camp cooking in all types of weather conditions. With its heavy-duty steel mesh grill, it is built to tolerate heat and strong enough to handle heavy cast iron cookware. We really like the simple design and especially how the legs fold in easily for storage. Texsport lives up to its name and its reputation on this grill. It is no surprise, the company has been creating top notch camping and outdoor recreational equipment for the past 40 years. Rest assured, you’ll appreciate your simply designed Texsport camp grill on whatever venture you next find yourself. There is an overabundance of camping grills on the market today. It can be hard to be knowledgeable about all the different devices and all of the features available on new models. So, which is the best camping grill for you, and how do you know you are you getting the performance you need at the best value? Let’s take an in depth look at each of these factors. With any piece of camping equipment, the cost is going to be a deciding factor for the majority of us. 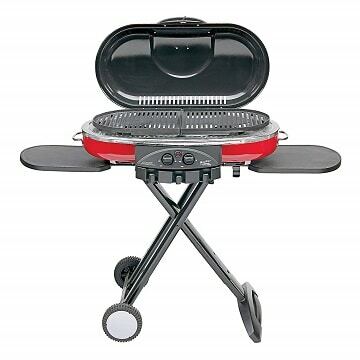 The range in price seen among camping grills is extensive. Clearly, there are a wide variety of features, build quality and brand recognition that determines cost. Name Brand– As with any product, brand awareness and reputation play a big role in the perceived value. Along with the name brand comes an assumption of better quality, reliability and often a warranty. Ease of Starting– Push button start or build up hot embers? Depending on your experience and the skills of others helping you, this is an important factor. What fuel is best for you, really lies in how comfortable you are building a fire. Extra Amenities– Many budget-friendly camp grills don’t have any added amenities, though some do. You’ll need to bump up your budget a little if you want extra amenities with your new grill. Larger camping grills with greater cooking surface area and enhanced features tend to be pricier but it may be worth the extra cost, especially if you frequently cook for more than just a couple of people. TYPE OF FUEL – Charcoal or Gas? The age old battle of which fuel is the best choice is a question that will rage on long after this article. How much heat do you need? Are you familiar with BTUs? With gas/propane grills, you’ll see BTUs (or “BTU”, or “BTU/hour”) listed. BTU stands for ‘British Thermal Unit’. It’s the amount of heat needed to raise the temperature of 1 pound of water 1 degree Fahrenheit. 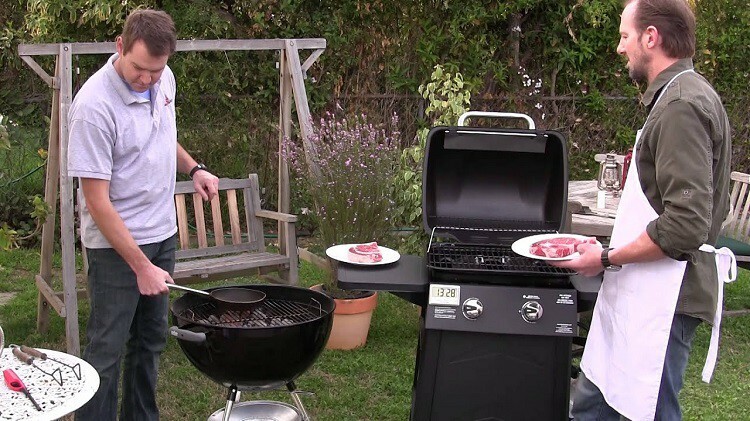 A gas camping grill will work at a higher temperature, which allows it to heat up faster and sear better, but will also use more gas if maxed out. Whereas, a charcoal fire takes a bit of skill to get to the proper temperature. Charcoal can be less expensive, cooks food slowly and can add variety of flavors. If you plan to grill mainly veggies or burgers/hot dogs, you don’t need a high BTU, so a charcoal grill could be a great option. If you plan to use your grill regularly and want to sear steak easily, or cook a wider variety of foods, you may want a grill with higher BTUs. Also consider clean up, charcoal embers need to be properly dispersed of but a gas grill you simply shut off. Pro Tip: Be sure and calculate the total BTUs. BTUs may be listed per burner. A 2-burner grill with 10,000 BTUs per burner (20,000 BTUs total) will produce more heat than a 3-burner at 5,000 BTUs per burner (15,000 BTUs total). Gas and charcoal grills cook very differently, due to the control over heat distribution. If heat is not properly distributed across the grill, food will fail to cook evenly or have varied cook times depending on location. Every camping grill is different. With trial and error, you can acquire the skill to cook on your grill and adjust the temperature accordingly, but more even distribution of heat will make grilling less stressful from the start. Can you eliminate the ashes or grease easily? Most charcoal camp grills have ash collectors, gas grills have grease traps. Are the grates simple to remove to get to ashes? Can you get to the burners to clean? Is the grease tray easily removable? Size does matter. When it comes down to it, the size of a camp grill answers a lot of questions. What foods can be cooked, in what quantity, how much fuel is needed, how portable is it and most importantly can you cook an enormous steak on it with all the fixings? Another thing to consider is how and/or where you plan to use your grill. Will it live in your camper or do you plan to move it to a picnic table or cooking area when camping. A heavy grill is safer in the wind but a detriment if portability is a priority. Pro Tip: Before you go shopping for a new camp grill, measure the area you plan to use as your cooking space (i.e. countertop, picnic table…). This will aid in determining the dimensions of the grill you can safely operate in the desired space. Cooking surface area can be another important deciding factor when shopping for a new camp grill. The surface area for cooking is defined in square inches. Properly measuring the square inches of the main cooking grating can be done in two ways. To determine the radius of a round object, measure from edge to edge, across the widest part of the circle. This number is the diameter. The radius of the circle is the diameter divided by 2. To square the radius, simply multiply the value by itself (for example: 5×5=25 or 4×4=16). When deciding how much surface you need, remember that you do not want to pack food to close together, you should leave at least 1/2″ between food items while cooking. If it is just you and one other person heating up some hot dogs, not much surface area is needed. However, if you will be grilling for 5 or more people regularly, you may want to go for a larger camp grill. If you only grill for large groups occasionally, though time consuming, you could cook in batches on a smaller grill. How many seasons will new your camp grill last, is a serious factor to think about. Does it have a bunch of small parts that can easily break? Will you be grilling in wet conditions? Rain, snow or ocean mist can cause damage to your new grill. Common water related issues include: corrosion of outer material, rusting of grates and ruining your starter on gas models. If you don’t want to replace your camping grill every couple of years consider a well-built grill that has features to protect it from the weather. 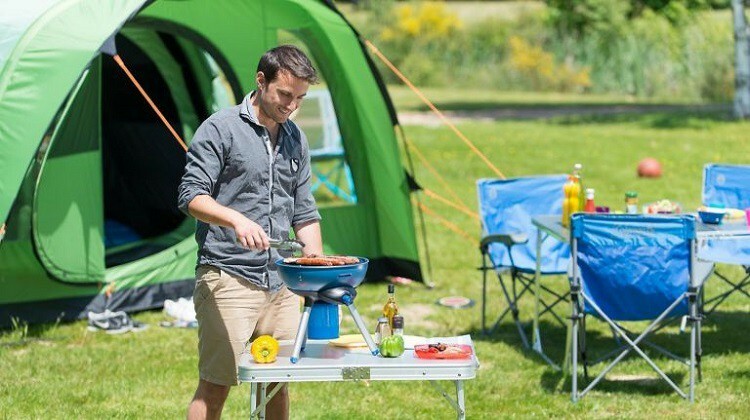 Other key factors to selecting your new camping grill will include: the number of persons eating, ease of use by others, type of foods being prepared, portability, extra features, and the aspiration to cook mouthwatering foods your friends and family won’t soon forget. For those of you that prefer a charcoal grill over a propane grill, it’s good to know how to properly build a charcoal fire, so that you have consistent heat, and hot coals that last long enough to cook whatever you have on the menu. Here are some tips to help you build a great charcoal fire. Plan ahead – If you like to cook with charcoal, you need to start your fire, plenty of time before you are ready to cook and eat. Charcoal or wood chunks need time to burn and create hot embers. Hot embers cook food more evenly than a raging fire. Stack your charcoal – Start by stacking your charcoal briquettes or wood chips in a mound at the center of the barbeque pit. Add your fire starter – It’s important to note that lighter fluid can impart chemically tastes to your food, so you may want to use something more natural like newspaper. If this is the case, put your newspaper in, before adding your charcoal. However, if you like the joy of combustible liquids, lightly soak your briquettes or wood chunks with lighter fluid. Let the fluid soak into the charcoal for a few minutes, then add a little more lighter fluid. Start your fire – Use matches, or for a more controlled flame, use a multi-purpose lighter. Multi-purpose lighters are great because you don’t have to put your fingers so close to where you’re lighting your fire. Start by lighting the charcoal at the bottom of the pile. Your fire should quickly work its way to the top. If you’ve opted for newspaper for your fire starter, light the newspaper, not the charcoal. The fire should easily spread to the top coals, but if it doesn’t, you can easily light upper chips or briquettes as needed. Let your charcoals burn – You don’t want to cook over a raging fire, or throw your food on while the lighter fluid is burning off. You’ll end up with food that looks and tastes like those briquettes you just lit. For best cooking results, let your charcoals burn down to a glowing red pile. Spread the heat – Once your coals are hot glowing embers, you’ll want to spread the pile out, so that you have even heat distribution across your grill. Use tongs, or even a stick to distribute the coals throughout the pit. Spreading the heat around ensures that your cooking surface is evenly heated, and your food is well cooked. Move slowly when doing this, hot embers can be dangerous and cause painful burns! Douse the fire – When you’re done cooking. Make sure that you fully extinguish your hot coals. By the time you’re done cooking and eating, your coals may have burnt out, but to be safe, throw a little water over the coals. Hot embers can be deceiving and can easily flame back up. To be honest, it’s a question that we’ve asked ourselves, while prepping for our own camping trips. 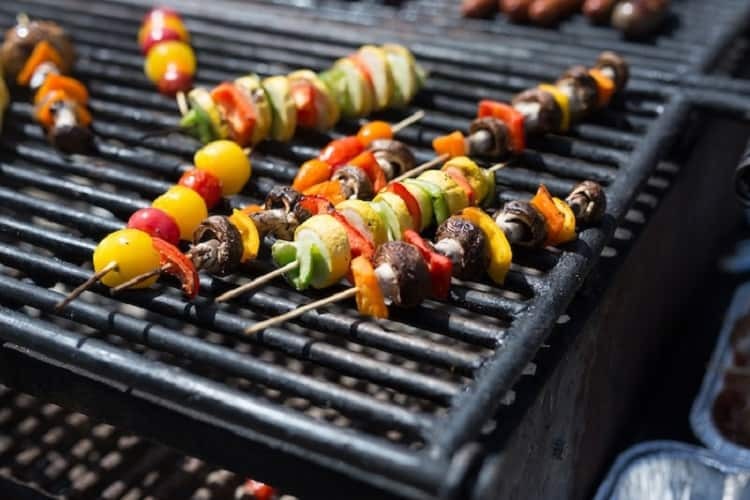 Once you discover how easy cooking your favorite appetizers, veggies and meats can be on your new camp grill, you’ll ponder how you ever prepared a camp dinner without it. If you’ve read this article to this point, you are well on your way to finding the perfect grill, and we are confident that you will end up with an appliance that adds great satisfaction to your camping experience.